Main stand. 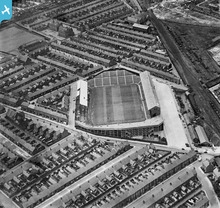 Designed by renowned football architect Archibald Leitch. Roker End. Concrete structure allowed team to train underneath the stand in bad weather. 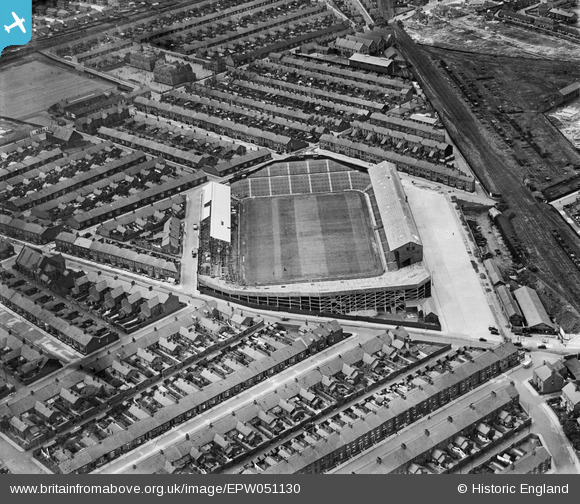 the fulwell end before it was covered 1936 this was the year sunderland last won the league. Old Redby Schools - Boys & Girls. My school after we came to Sunderland from Dover in 1936.